Our company mission is to obtain community goodwill and respect through the sales and financing of automobiles. It is our responsibility to serve the transportation needs of our community by always considering the consumer our friend, our paycheck, and our success. We must always keep in mind that our customers have certain expectations of us and we must constantly strive to exceed them or our competitors will. All employees must maintain a positive attitude, high morale and good ethics through all business dealings. Our customers' perception will determine our success. Loyalty, optimism, understanding, and self-esteem are virtues we must keep in mind when doing business. If we always treat our customers the way we would want to be treated, our success in business will continue and the company's reputation will flourish. Our organization must team together and work together at all times with our primary goal of CUSTOMER SATISFACTION. What does Advantage Auto Finance of PA do with your personal information? some but not all sharing. Federal law also requires us to tell you how we collect, share, and protect your personal information. HOW? All financial companies need to share customers' personal information to run their "everyday business. the reasons Advantage Auto Finance chooses to share; and whether you can limit this sharing. To Limit Our Sharing: Call 215-257-4995 or visit us online at www.wefinanceyou123.com. Please note: If you are a new customer, we can begin sharing your information from the date you sign the privacy notice. When you are no longer a customer, we continue to share your information as described in this notice. How Does Advantage Auto Finance of PA protect my personal information? How does Advantage Auto collect my personal information? We collect your personal information, for example, when you: Complete a credit application online or in-store	Provide contact information	Provide personal account information	Provide employment and income information. Your choice will apply to each account holder unless you tell us otherwise. Affiliates: Companies related by common ownership or control. They can be financial and nonfinancial companies. Non-affiliates: Companies not related by common ownership or control. They can be financial and nonfinancial companies. Joint Marketing: A formal agreement between nonaffiliated financial	companies that together market financial products or services to you. 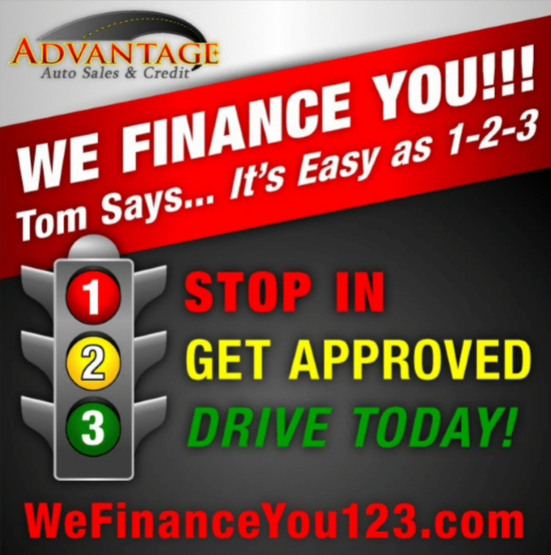 Buy Here Pay Here & In House Auto Financing at Advantage Auto Sales & Credit. 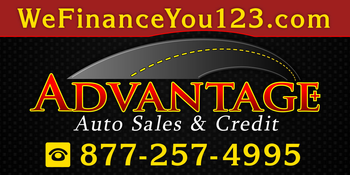 Advantage Auto Sales & Credit is a used, buy here pay here car dealer in Telford PA serving the communities from Quakertown PA, Coopersburg PA, Sellersville PA, Souderton PA, Harleysville PA, Bethlehem PA, Allentown PA, Lansdale PA, Leigh Valley PA, Buck County PA, and Montgomery County PA. We have a great selection of affordable used cars for sale, as well as trucks, vans, SUV's and crossover vehicles. Need financing? As a buy here pay here dealer we can get you approved and on the road today. Bad credit? No credit? NO problem!!! Let our friendly in-house auto finance staff help you find the pre-owned auto that fits your style and fits your budget. Call today or apply online now for quick and easy car financing. Advantage Auto Sales & Credit | Bad Credit Auto Loans Quakertown PA has been visited 2,991,426 times.